It examines the political dimension of processes of climate knowledge production. This paper explores women’s experiences in Casa de Parto David Capistrano Filho (CPDCF), a birthing house in Rio de Janeiro that offers a home-like environment, with a minimum of medical interventions during childbirth. The Iranian-American director’s 25-minute film, available on Netflix, explores the stigma surrounding menstruation in rural India, where sanitary pads are so rare that most young women are unaware of their existence or have only learned about them on television. 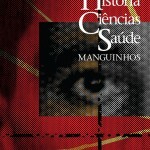 This paper examines the dissertation ‘La antigüedad de la sífilis en el antíguo Peru’, written by Julio Tello in 1909 and argues that it can be read as a thesis on medical anthropology. Princeton researchers examine maternal and infant mortality in Lutheran German communities in southern Brazil, 1850-1880. Las becas son para realizar un proyecto de investigación de hasta tres meses de duración en la Biblioteca Latinoamericana de Tulane, una de las más extensas sobre América Latina y el Caribe. It analyses the female figures of the advertisements published in O Cruzeiro and Manchete magazines between the 1940s and 1960s. 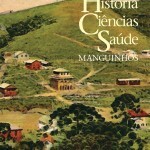 This 1916 report features a comprehensive analysis of education in Brazil with a special focus on the medical profession.